​In 1755, Arkwright married his first wife, Patience Holt. They had a child together, but soon after the birth, Patience died. Arkwright remarried Margaret Biggins in 1761. It was during his second marriage that Arkwright realized his passion for inventing and entrepreneurship. He soon developed a spinning machine, called a water frame, that was capable of producing strong yarn. The machine replaced the need for manual labour and enabled the production of inexpensive spun cotton by using the moving force of a creek or river that spun a shaft. The machine was important at the time because cotton was used for clothing and other everyday items. At first, the machine was referred to as a ‘spinning frame’ but in later years, it was known as a water-frame. In fact, the water frame was a major advancement over previous types of machinery including James Hargreaves' spinning jenny. This was because the water frame essentially mechanized all of the process of spinning the yarn and required very little human labor. ​Arkwright moved to Nottingham where he formed a partnership with two local businesses. With the men, he built mills to process cotton and other products. The mills required a lot of workers, which the town could not provide. In order to ensure that the mills had enough employees, Arkwright built pubs to attract people, and imported workers from outside the area. Arkwright managed other mills, most notably the Birkacre Mill at Chorley. This mill was important to the growth of the town, which later played an important part in the Industrial Revolution. Arkwright developed a disciplined factory system in Chorely, and it was replicated in other factories across England. In fact, Arkwright struggled to maintain the copyright of his invention, as other people across England copied it and used it in their own factories. 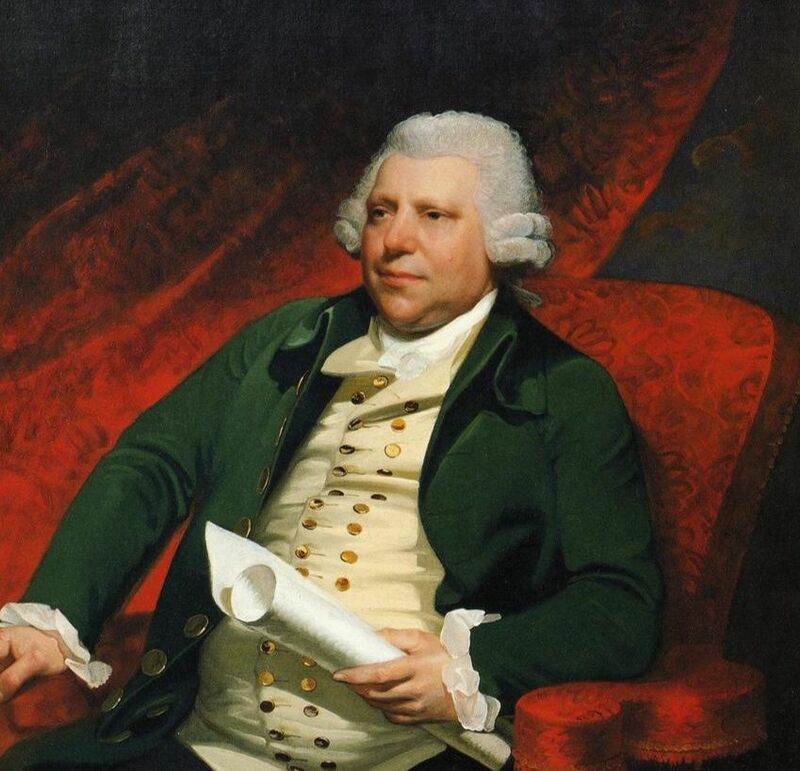 Despite this, Richard Arkwright was famous and wealthy in his own life for his inventions and businesses. For instance, he was formally knighted in 1786 for his accomplishments. This means that he was given a title by the British monarch for his service to his country. His innovations had fundamentally altered England in the time of the Industrial Revolution and made him a rich man. For instance, when he died on August 3rd, 1792, his estate was worth more than £500,000. Today he is celebrated as one of the most significant figures of the entire Industrial Revolution.